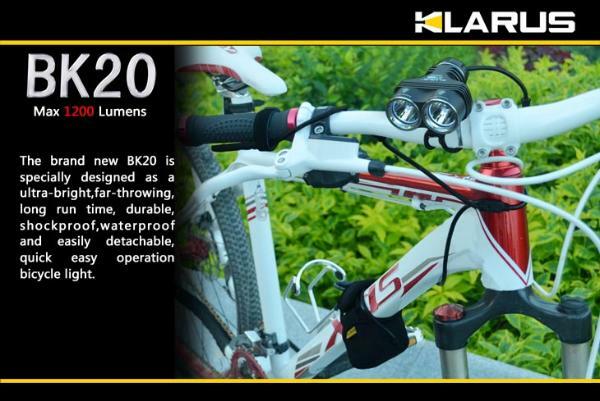 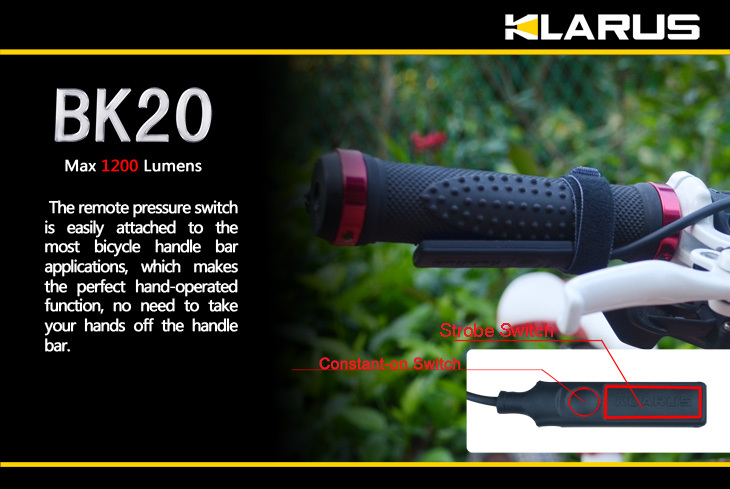 desirable bicycle lights in the world.
. for up to 4 hours on maximum illumination (1200 lumens) and up to 10 hours on medium (370 lm). • Three lighting modes and one strobe mode; the strobe mode alerts oncoming traffic in a congested area.
. light and power source.
. also water and mud proof. 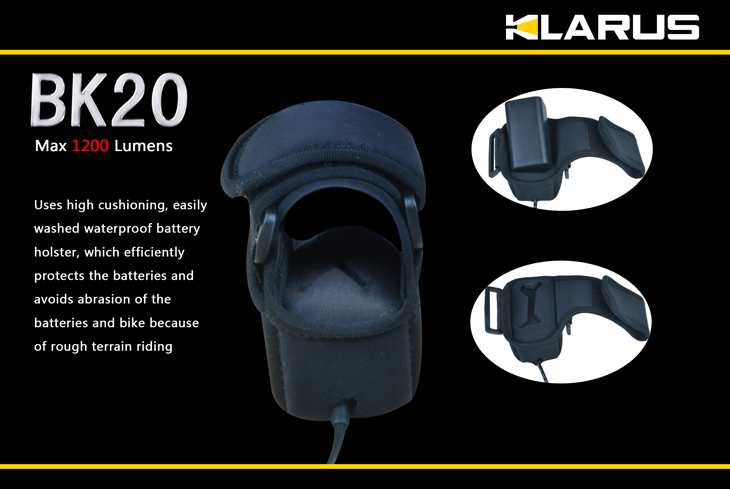 • Waterproof and shock proof silica gel battery holster. 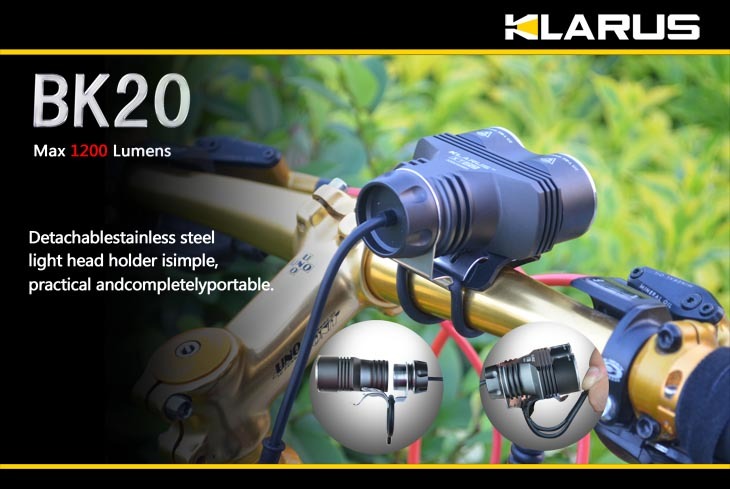 • Detachable stainless steel light head holder is simple, practical and completely portable. 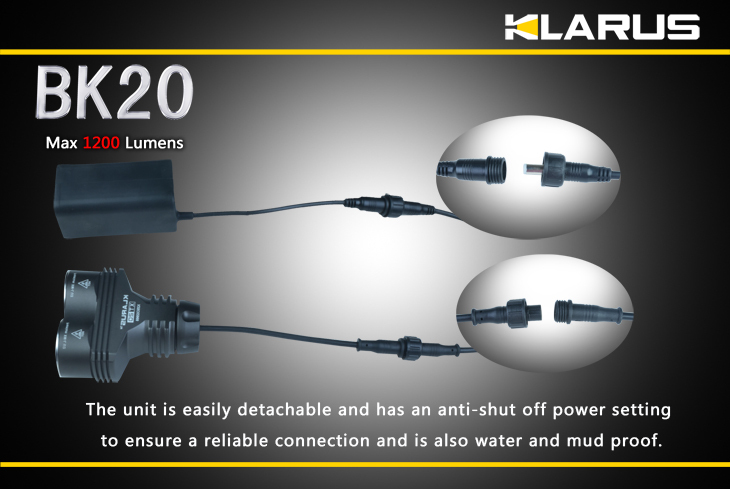 • Three lighting button and one function button. 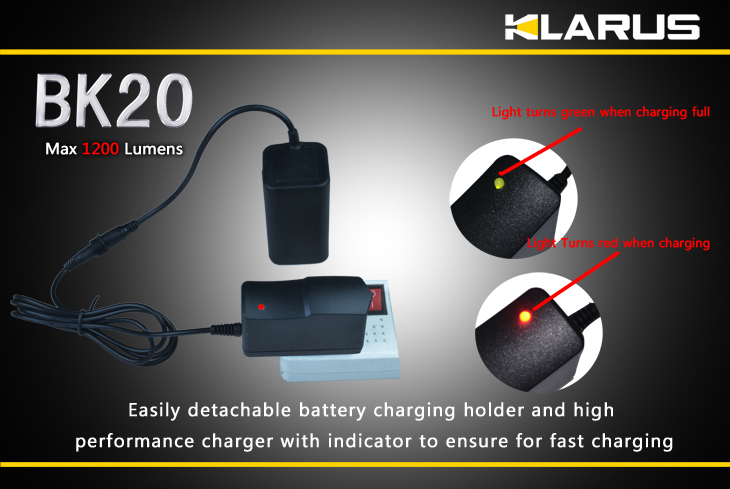 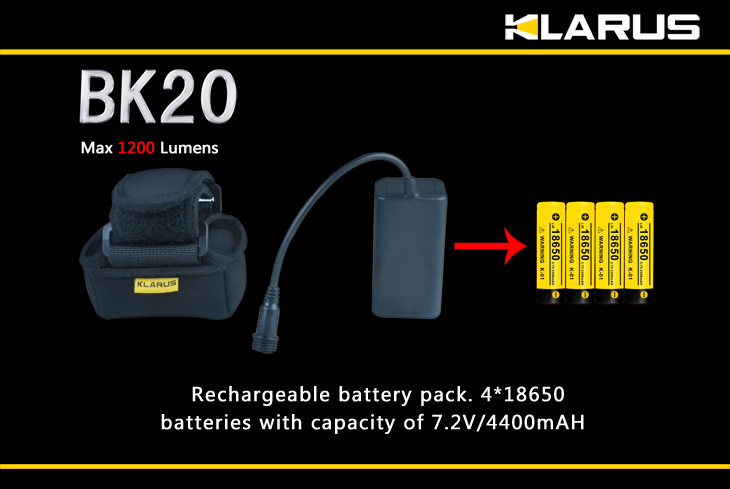 Three lighting modes and one strobe mode.
. holster*1 , remote switch*1, charger*1 and XT20 head.